Mark Jenkins has been in the U.S. footwear industry for 40+ years. He has just launched his own women's footwear brand under his name. The brand features a signature molded footbed and thick foam cushioning on the insoles. Comfort, quality, and fashion-forward shoes and boots are what this new line is all about. 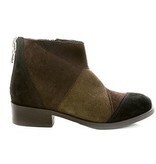 The Barcelona boot is must have for the fall season. 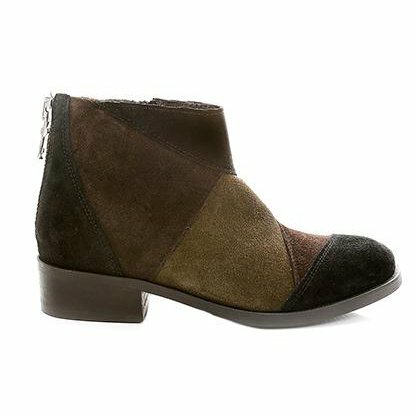 This boot features a funky color block pattern in suede, featuring some of our favorite fall colors: black, brown and olive green. The boot has a matching inside zipper for easy on and off, while also having an additional heavy duty “non-functional” zipper for style.